Prince Edward County council announced Monday James Hepburn will no longer serve as the chief administrative officer effective immediately. The municipality will begin the search for the next chief administrative officer immediately. Council is currently developing a transition plan to ensure the uninterrupted delivery of County services and programs during the chief administrative officer search. Hepburn was hired in 2015 to replace Merlin Dewing who was fired after it was determined by the council of the day that Dewing’s leadership approach no longer aligned with the vision of the current council. Just over a year ago, Hepburn signed a three year deal with municipality and the latest version of the Ontario sunshine list indicated the former CAO made just under $175,000 in 2018. 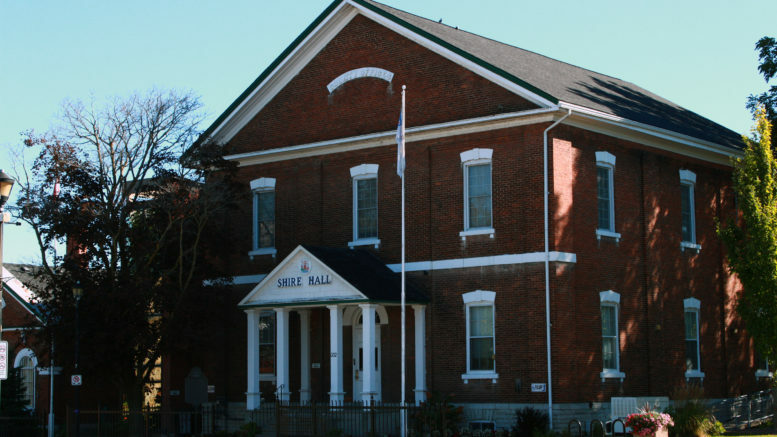 A source at Shire Hall told the Gazette that, as of Thursday morning, Hepburn’s office had been vacated. In speaking with the Gazette Tuesday afternoon, Mayor Ferguson cited confidentiality as to not answering why the relationship between Hepburn and the municipality ended and wouldn’t divulge which side felt the relationship needed to end publicly on April Fool’s Day. “In this matter we have the municipality and council and we have James and the matter of confidentiality is going to be upheld in this case,” Ferguson said. Ferguson confirmed there was no criminality involved in the ending of the professional relationship between the municipality and Hepburn. “For the readers of the Gazette, the important point is that we will be appointing an interim CAO that will look after the best interests of the municipal employees and the tax payers, businesses and residents while we go on an extensive search,” Ferguson added. While the interim CAO will likely be appointed soon from the current senior administration team roster, Ferguson said an exhaustive search both internally and externally will commence in the coming weeks and the it’s clear the mayor looked at this upcoming task as an opportunity to find the best person possible for the position of overseeing the day-to-day operations of the muncipality. When asked about municipal staff morale, Ferguson said he has sought to get the lay of the land with regards to County of Prince Edward employees by being as visible as he can and seeking opinions at various installations, arenas and offices. “At the end of the day we are a team. Council is involved in governance and not the day-to-day but we want to make sure that staff is respected and their needs are being met,” Ferguson said. Recent barrages from the public towards the roads department for maintenance conditions were unfair according to the Mayor as it is council that ultimately governs the operations. “People take shots at the departments but it’s our role as council to make sure they have the tools to do the job to make residents happy and I want the employees to know we have their back,” Ferguson added.